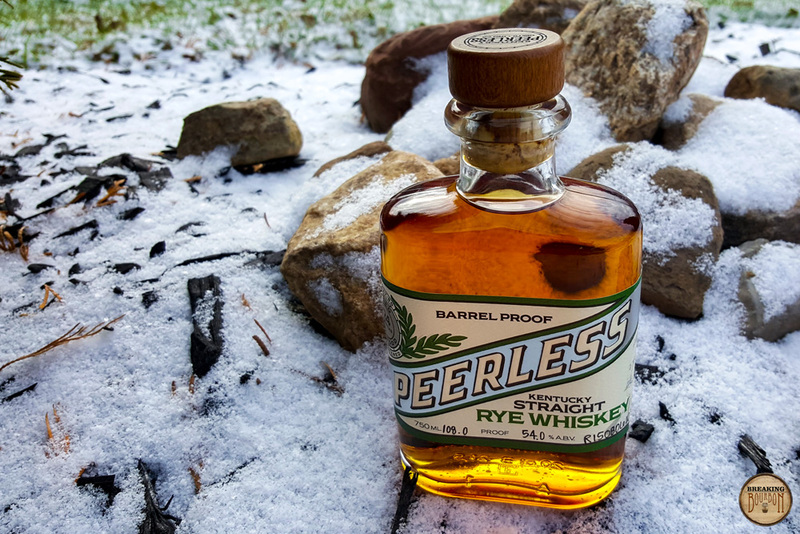 Peerless is a storied brand that dates back to the 1880’s when it was first barreled and sold by E.W. Worsham & Co. Operations based in Henderson, Kentucky. Like so many other distilleries during the time, the distillery and the Peerless brand became a victim of Prohibition. 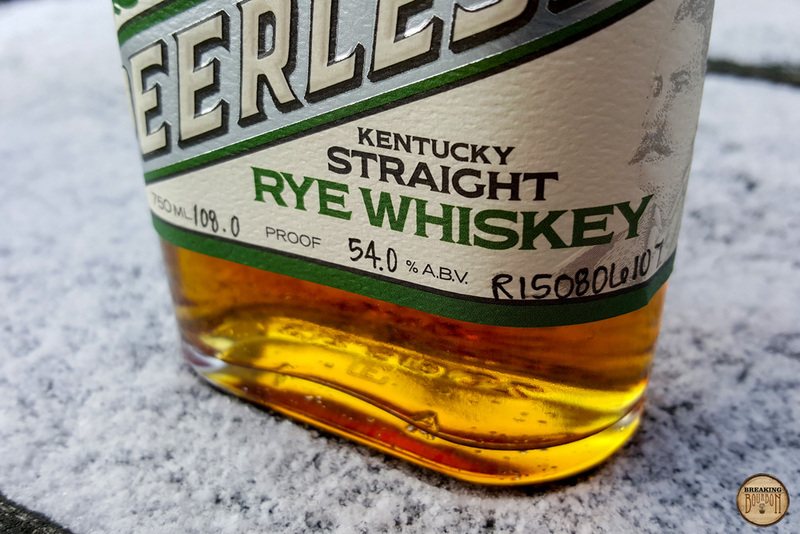 In 2014, the Peerless brand was reborn as Corky and Carson Taylor refurbished a building in downtown Louisville and obtained the original Kentucky Distilled Spirits Plant Number (DSP-KY-50) from the original Peerless Distillery in the 1800’s. 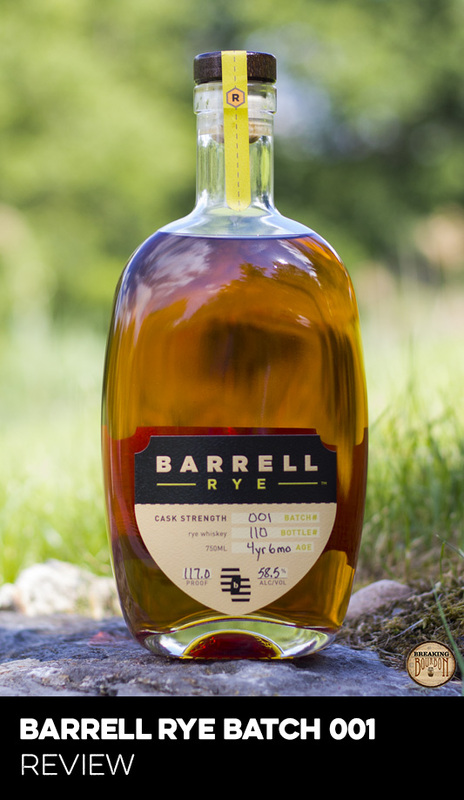 In March of 2015 they barreled their first rye. Two years later they’re releasing their first 2 year old small batch straight rye whiskey. Each bottle represents micro batching, with only six barrels blended to produce each batch. Additionally, the Taylors have chosen to use a sweet mash between each fermentation, which is a differentiation from the typical sour mash used by most distillers. The nose smells youthful but still flavorful. Fresh oak, banana, and corn lead the way. Behind this are slight hints of vanilla, rye, pine, and anise. These are mixed with an ever present hint of ethanol throughout. Overall the nose isn’t a standout, yet it’s still a pleasant introduction. Sweet and spicy flavors all wrapped into one. The rye initially hits your lips with a sweeter flavor profile before exploding into a spicy blast as it envelops your mouth. Brown sugar and vanilla are followed by a mixture of rye spice, oak, pepper, and a touch of peaches. Heat is a constant factor throughout the palate, however it isn’t overbearing and if anything, it helps to enhance the flavors and even slightly hides the rye’s youthfulness. Surprisingly it doesn’t taste like a rye that’s only been in the barrel for 24 months, however it also doesn’t punch much above that age range either. Corn and oak lead the way followed by dabs of leather, rye grain, and vanilla. The finish is slightly dry and ever so tannic. Lingering hints of new oak and dashes of smoke stay present long after the sip ends. 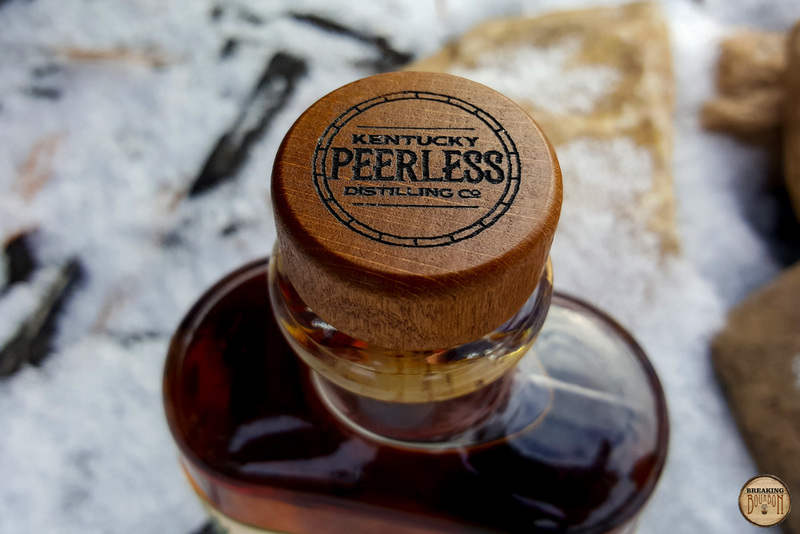 Peerless tries to distinguish itself from its peers through the use of a new sweet mash with every batch, low barrel entry proof (107 proof), small batching (only 6 barrels at a time), and by using barrels from smaller cooperages. 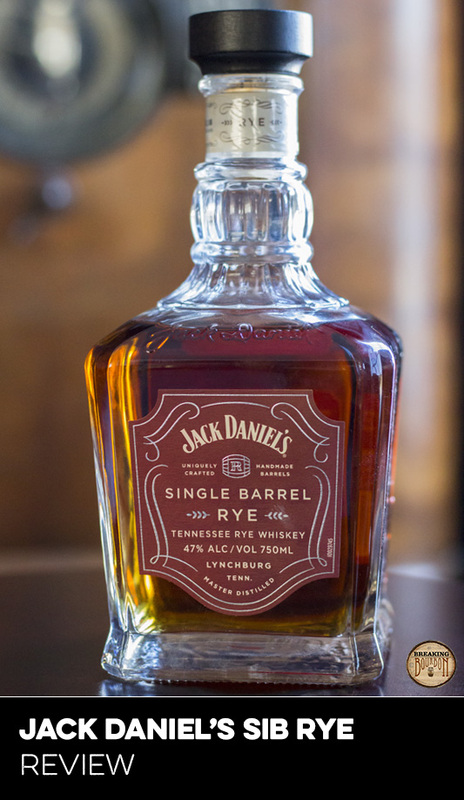 They also use a high-end looking bottle, which convey a classic yet fresh look. While all these traits are unique in relation to their competition, Peerless fails to differentiate itself on the part that counts, its flavor profile. 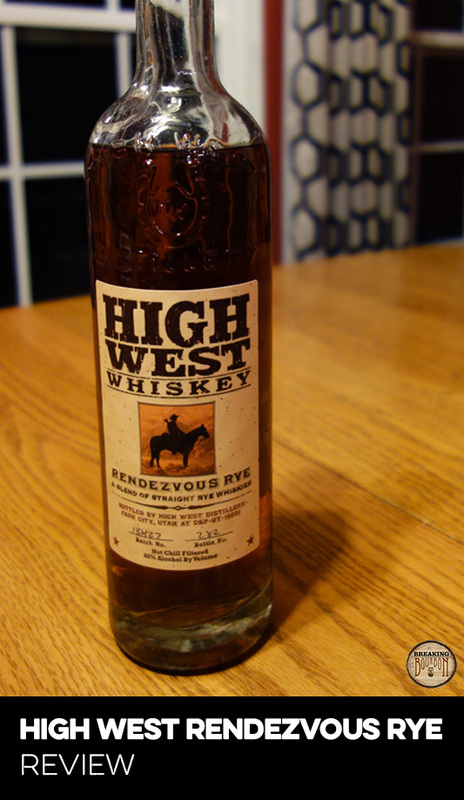 The whiskey shows a good deal of promise, yet it still tastes like a relatively young, high proof rye when it comes down to it. It has just enough new oak taste to remind you that it’s young, with just enough complexity to show you that it may turn into something great in the future. In the meantime, you’re left with a perfectly fine rye to sip and wonder “just how did they do it?” but in the end it just doesn’t really stand out from many other ryes on the market. 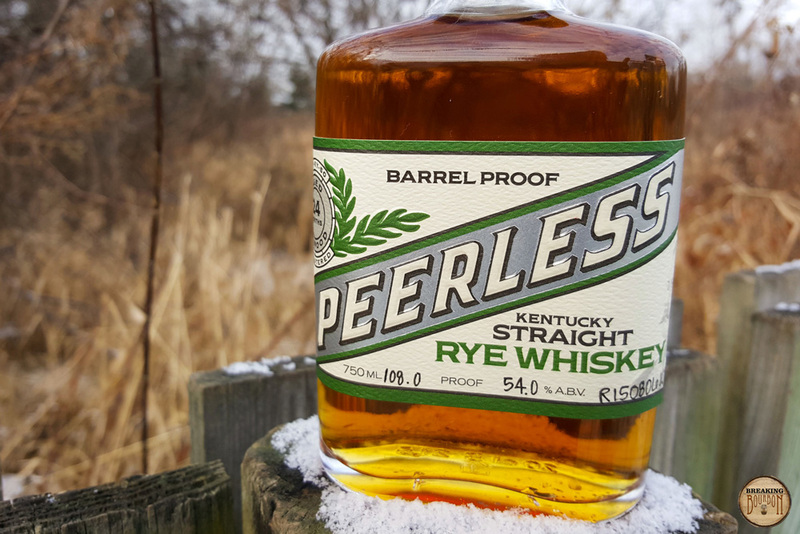 Peerless is a newly revived distillery out of Kentucky selling their young distillate. 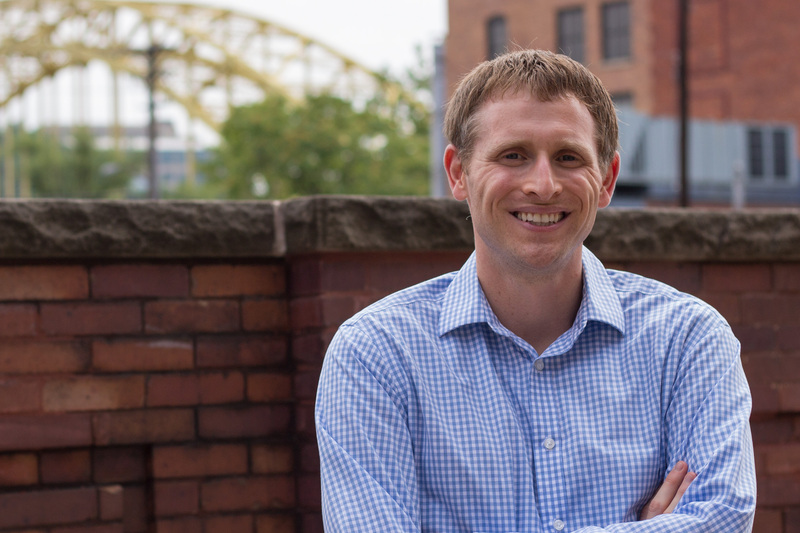 If this story sounds familiar, it should. Just a few short years ago this exact same headline could have applied to Willett as they released their own 2 year aged distillate. The differences though end right there. Not even taking into account Willett’s unique flavor profile, what’s incredibly different is the fact that Willett priced their rye under $40 versus the $100+ price tag that Peerless chose. The fact of the matter is, Peerless Rye does not live up to its price tag. $100+ for a 2 year rye is absurd unless it’s one of the best ryes on the market. Yes this rye shows potential, but pricing on potential isn’t enough, even in today’s marketplace. If you’re going to spend over a $100 on a rye, I would be remiss if I didn’t suggest to spend a few dollars more for Kentucky Owl Rye, which is similar in proof and aged an extra 9 years. If you can’t find an Owl or don’t want to pay $100 or more but are still looking for a high proof rye, Pikesville 6 Year Rye is another good bet. Yes they’re different flavor profiles, but both deliver a much better drinking experience than Peerless does. 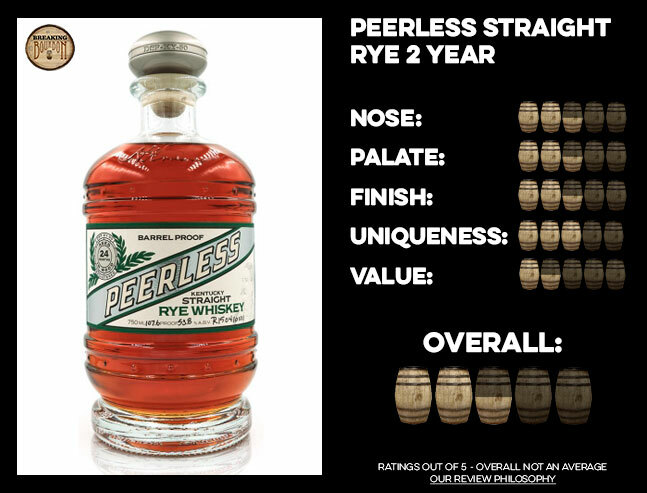 Peerless Rye delivers a youthful yet promising flavor profile that’s being sold at an unjustifiable price point. I give Peerless credit, they’re trying to start from scratch and it’s clear they take pride in their work. From the fact that they use a sweet mash for all distillations to the fact that they use beautiful packaging, this is a company that is pulling out all the stops. However this all comes at a high price to the consumer. It’s admirable that they want to build and expand, but charging the consumer up front to fund all of this is not the best way to go about it. That said, at 24 months, Peerless Rye shows promise, and in some respects, it’s actually quite impressive what they’ve managed to create with only 24 months of aging. I’m genuinely enthused to see how this rye ages over the next couple of years. With more time in oak is has the potential to be an above-average rye even. The fact of the matter is, that it’s just not quite there yet. Sure it’s respectable in its current form, however it’s impossible not to take into account its price before pulling the trigger on this rye. It’s unfortunate, because more attention should be put on what Peerless is creating and not what they’re charging. The sample used for this review was provided at no cost courtesy Kentucky Peerless Distilling Company. We thank them for allowing us to review it with no strings attached.